Gadag is a district in Karnataka which has a long heritage of being the focal point of many religious settlements, mostly Hindu and Jain. As such, the place is dotted with beautiful temples and attracts numerous visitors who wish to explore the medieval architecture of Karnataka. The region is also well-known for its handloom and printing industry. Formed in 1997 by splitting from the Dharwad district, Gadag has a population of around 1 million people who live in seven tehsils. The weather is moderate throughout the year for most of the region and therefore makes for pleasant travel. Summers during the April to May season can clock in temperatures of up to 42 degree Celsius. But the temperatures can go down to 16 degree Celsius in the colder months of the year. The place is also naturally blessed with greenery and is home to a famous bird sanctuary. Historically, the place has been the seat of the Western Chalukyan Empire, which has left its spiritual and cultural footprints throughout the region. 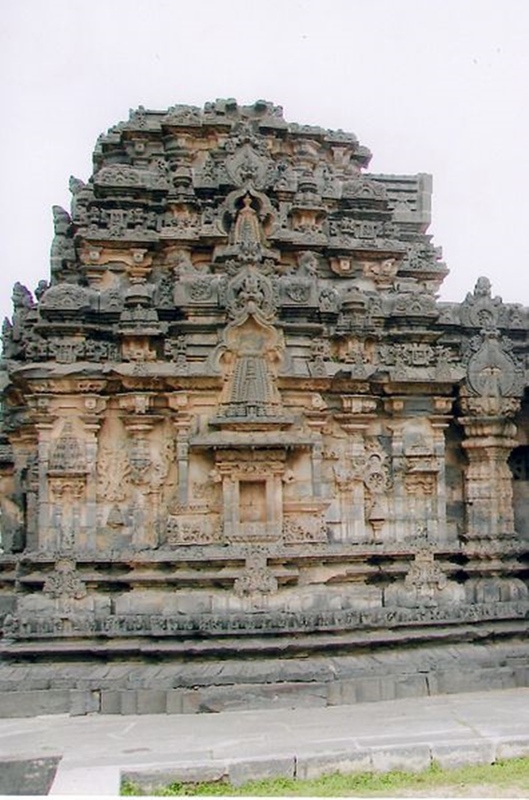 In fact, the style of art practiced by the Western Chalukyas is sometimes referred to as the “Gadag Style.” The empire went on to build more than a hundred temples, most of which were located in Karnataka. Later empires like the Hoysalas and Vijayanagara were influenced by Chalukyan artistic values. Plus, the place has also been an important center of Hindustani music in Northern Karnataka. Being a region heavily influenced by Jainism and various Hindu sects like Vaishnavas and Shaivas, Gadag is a must visit place if you are interested in observing the architectural heritage of the region. 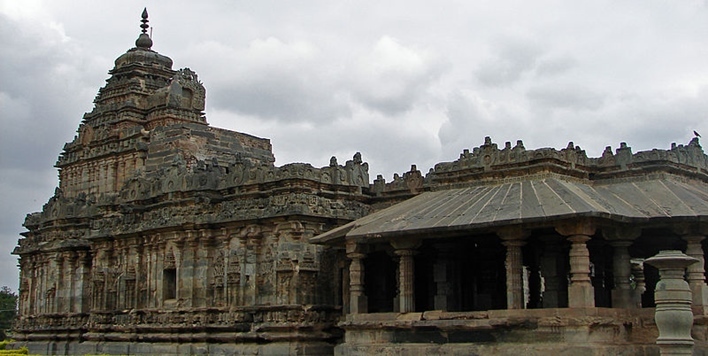 Below, we take a look at some of the popular places you must visit when in Gadag. Dedicated to Lord Shiva, the temple was constructed somewhere around 10th to 12th century CE by the Kalyani Chalukyan Kings. The temple is famous for its sanctum, which consists of three Shivalingas carved onto one single rock. 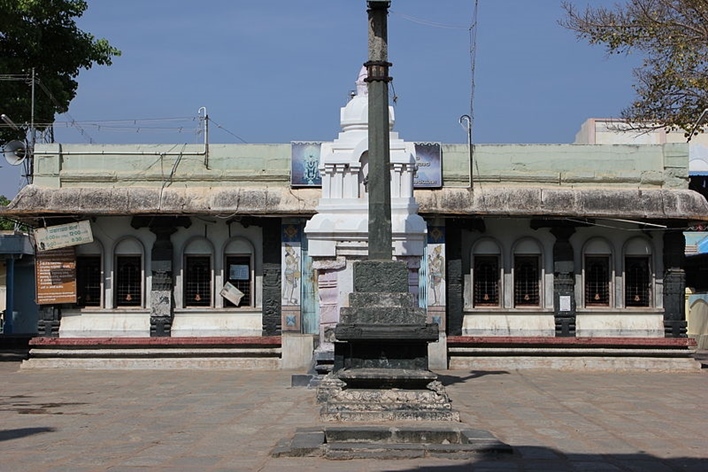 Shrines dedicated to Someshwara and Saraswathi are also found inside the complex. It is regarded as one of the finest temples showcasing the Kalyani Chalukya architectural style and is located near Dambal village, 20 km from Gadag. Constructed at around 1117 CE, the Veeranarayana Temple was built by the king Bittideva at the advice of his spiritual guru Sri Ramanujacharya. The temple interior has detailed carvings of various gods and goddesses and is built according to three major architectural styles of the regions – Hoysala, Chalukya and Vijayanagara. The temple has been classified as a protected monument by the Archaeological Survey of India (ASI) state division. This statue is situated in a park by the side of Lake Bhishma, and is dedicated to the memory of Basavanna, who was a 12th-century philosopher and social reformer of Karnataka. It is approximately 108 feet tall and has about 40 steps that allow you to go up to the statue. Located very near to Gadag city, there are artificial water bodies around the statue which offer boating facilities. The Magadi Sanctuary has been created at the Magadi Tank, which is located about 26 km from Gadag. There are numerous bird varieties you can observe here, including the Bar Headed Goose, Comb Ducks, Grey Herons, Greater Flamingos and so on. The place is overseen by the Village Panchayat of Magadi, Department of Fisheries and the state government. It is estimated that more than 134 bird species can be observed within the sanctuary. This complex is situated around 20 km from Gadag, with the most famous temple being the Doddabasappa Temple. The entrance to the temple has been decorated beautifully with rosettes and festoons, and you will also find a Buddhist shrine nearby. The drive to the temple complex will take you through the beautiful countryside. The Jumma Masjid at Gadag was built during the reign of Aurangazeb. When the emperor’s general Dilerkhan arrived at the place in 1675, he wanted to build a large prayer complex for the Islamic community of the region. He built the Jumma Masjid, which is a good example of Mughal architectural style in southern India. This is a very famous Jain temple in Lakkundi and has an impressive idol of Mahavira, who is shown as seated on a lion throne. This is one of the oldest Jain temples in the region and is believed to have been built by a Chalukyan queen called Attimabbe. 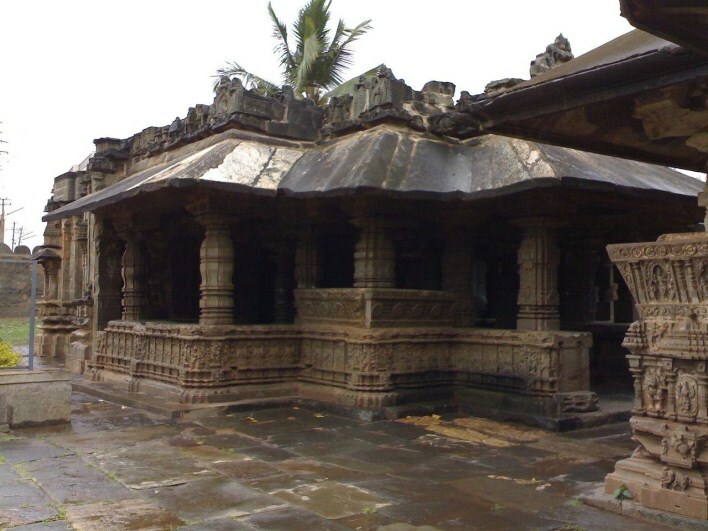 A unique aspect of the temple is that it is built using a material called Chloritic Schist, which allowed the artisans to carve finer and more intricate details into the wall. Brahma Jinalaya is located 12 km from Gadag. It is situated just behind the ASI museum. This three storied temple is supposed to have been built by King Yakhsa Malla in 1427 CE. According to legends, the entire temple was created from the trunk of just one tree. It features wood carved panels, with the peacock window of the pujari math being the main attraction of visitors. The Dattatraya Temple is located at Tanga Koot in Gadag. A very famous temple in Gadag, thousands of devotees throng the place all year round. There is a unique belief associated with the temple that people can get any of their wishes fulfilled if they build a house on the hill in which the temple is located. The annual car festival is also hugely popular with the devotees. 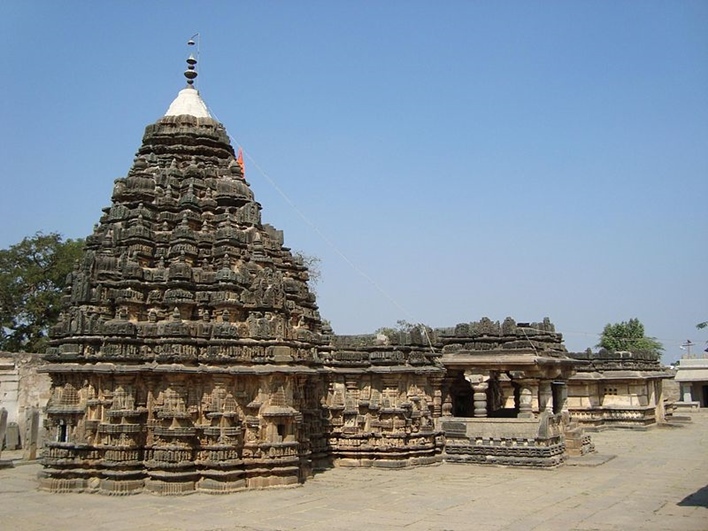 The temple is situated approximately 25 km from Gadag. Regarded as one of the most beautiful temple tanks in the state of Karnataka, Naga Kunda literally means ‘The Well of King Cobra.’ The huge, beautifully carved temple tank is a main attraction of the Sudi village. 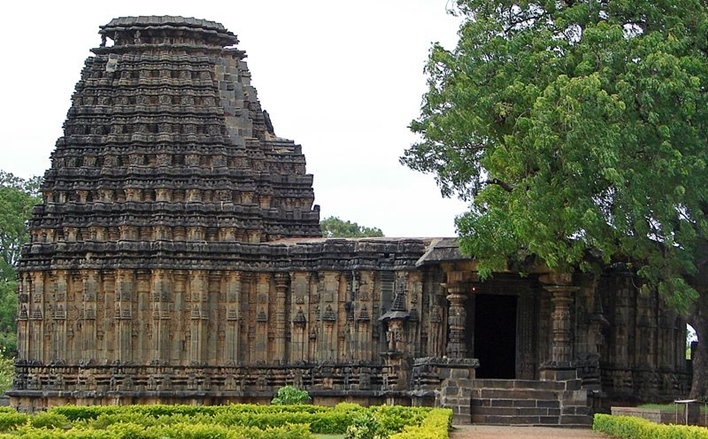 In addition, other attractions near the place include the twin towered Shiva Temple, Mallikarjuna Temple and so on. The region was an important religious center during the reign of Kalyani Chalukyas in 1000 CE, and this is reflected in the numerous temples and statues you can find in the place. You have the following three options to reach Gadag. The nearest airport to Gadag is the Hubli airport, located about 57 km away. The next one is the Sambre Airport at Belgaum, which is approximately 128 km away. However, you should keep in mind that there are no regular flights to Gadag from other major cities of the country. This is a better option to arrive straight to Gadag. The Balganur, Kangihai and Gadag Junction Railway Stations all interconnect very well with other cities in the state. If you are from outside Karnataka, you should be able to find overnight trains to Gadag from Mumbai, Kolkata, Ahmedabad, and Hyderabad. If you want to travel to various places within Gadag, then your best option will be to take a bus. The region is a high traffic area. As such, you will have no problem in finding buses that take you to any of the famous locations in the region. If you are traveling in a car, make sure you have the destinations mapped out. Since the interior locations may be sparsely populated, it can be quite troublesome if you have not done proper research and accurately pinpointed the route to the place you wish to visit.